According to the US National Cancer Institute, multimodal or multimodality treatment is ‘therapy that combines more than one method of treatment’. The term was originally coined to describe an approach to managing mental illness in people where a better response was anticipated by combining several lines of therapy. It has been adopted in other areas of medicine. Commonsense says that this multifaceted approach to treatment has benefits over narrow treatment protocols that perhaps use just one drug or just medical treatments as opposed to recognising the benefits of surgery in certain situations. It also means we should take a more holistic view and look at the patient’s lifestyle rather than just pumping them full of drugs. In cancer medicine, the term multimodal is used to cover the combined approach of chemotherapy, lifestyle modifications and surgery radiation etc and how best the options should be combined. It is recognition of the fact that focusing on one treatment modality is often flawed. Instead our efforts should be focused at a more holistic, multimodal approach. This is the line I have taken in the 6 point action plan which can be downloaded from the website. Attention to exercise and body weight as the foundations of any multimodal osteoarthritis treatment plan. 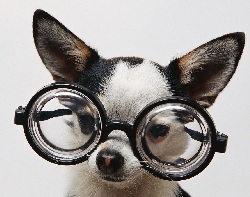 I think the single biggest mistake to make in treating osteoarthritis is being too blinkered and just looking for a supplement or a device that can ‘cure’ your pet’s osteoarthritis. Osteoarthritis can’t be cured and I would take with a pinch of salt any claims that supplements can ’rebuild’ joints. When you watch the Arthritis Video Series and we look at the changes that occur in osteoarthritis, you will realise that rebuilding is not an option. There is some evidence that some of the so-called ‘chondroprotective’ supplements such as glucosamine may slow the progression of osteoarthritis but it is by no means proven or universally accepted. In many osteoarthritic joints there will be large areas of the joint with no cartilage left on them! It is definitely osteoarthritis that is causing lameness. We discuss this more in the videos. You are not going to burn up your financial reserves on supplements when your pet really needs surgery. Sometime when the truth hits home, there may not enough money left in the pot. Talk to your vet about this if you are in any doubt. I encourage all pet owners who have dogs with osteoarthritis to put a sensible plan together with their veterinarian. You need to consider the place of lifestyle modifications, dugs and supplements in this plan. In addition, get a realistic view on surgical options. I hear a lot of misinformation on surgical options, occasionally even from veterinary professionals who aren’t experienced in this area. If necessary, get referred to a specialist. Surgery can quite literally be lifesaving and joint replacements can give pain-free mobility back to your pet. Download the 6 Point Action Plan if you haven’t done so and use it as a framework to build your pet’s treatment plan.